Lawn Mower 1500 - Reach It! - Move It! - Crush It! 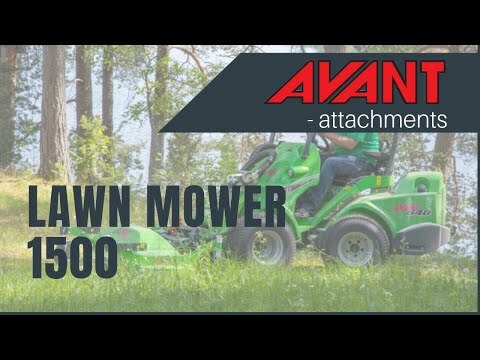 Avant’s biggest lawn mower is intended for professional lawn mowing also on larger areas. The mower can be modified to right type of mowing for different circumstances. Powerful mower allows a higher drive speed and perfect cut also on challenging conditions. OptifloatTM –system ensures that the cutting is easy and that the cutting deck follows the ground contours also on uneven terrains. The floating system is also equipped with a safety valve, which stops the blades when the mower is lifted off the ground.